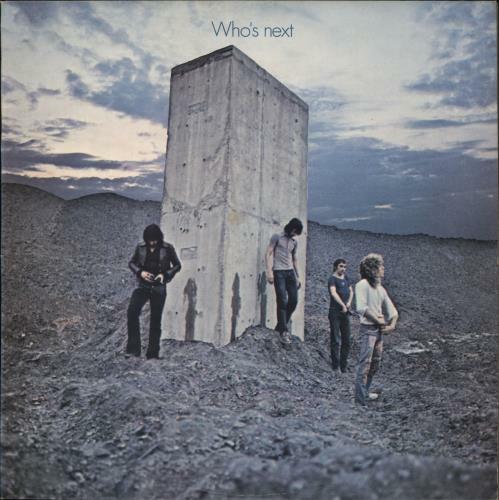 THE WHO Who's Next (Classic 1971 first UK issue 9-track stereo LP on the dark black & silver Track label with A1/B2 matrices, matt picture sleeve with pinched spine & rare Polydor 'Head Hunters' company inner. 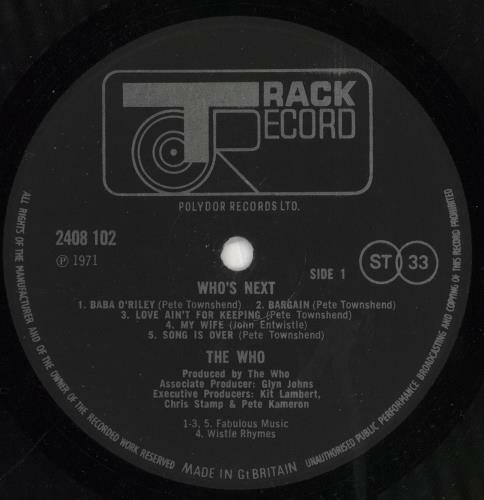 The sleeve shows very little wear with age & grades Excellent whilst the vinyl appears Near Mint with not a single mark on the label. Impossible to beat & a glorious copy! ).